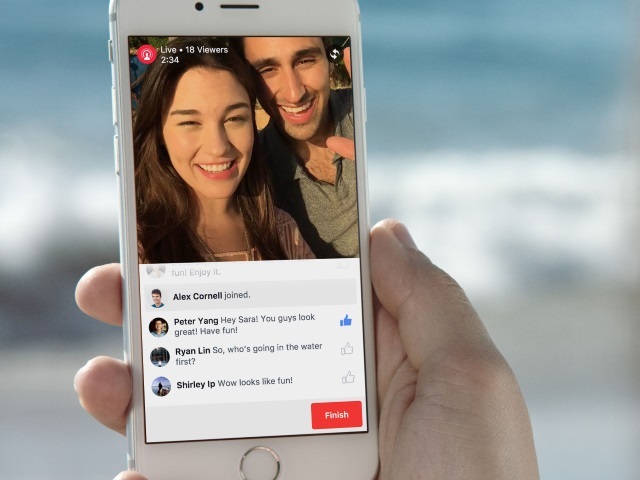 Facebook continues to become more and more visual with Thursday’s announcements of a test of live video from users and the introduction of collages of photos and videos. The social network already offered a live video feature for celebrities, public figures and journalists, Live for Facebook Mentions, but this test with a small group of U.S. iPhone users marks the first time the capability has been made available to “regular” users. To share live video, tap on update status and then select the live video icon. You can write a quick description and choose the audience that you want to share with before going live. During your broadcast, you’ll see the number of live viewers, the names of friends who are tuning in and a real-time stream of comments. When you end your broadcast, it will be saved on your Timeline like any other video, which you can then delete or keep for your friends to watch later. When you tap on photo, you’ll see recent moments from your camera roll organized into collages based on when and where you took them. You can edit your collage by adding, removing or rearranging the photos and videos that you want to include. When you’re done, you can add a title to the collage before sharing. Collages will begin rolling out on iPhone today and will be available on Android early next year. And the two product managers said they are testing a new design with some iPhone and Android users in which the drop-down menu under the “What’s on your mind?” message in the status-update composer provides access to all of the available sharing options. Readers: Are you anxious to get your hands on live video and collages?